To say I've tried many a product & fallen back in love with some classics this past month, would be an understatement. I love reading what people have loved each month as you can always find something new or get to know how something has really worked for someone. 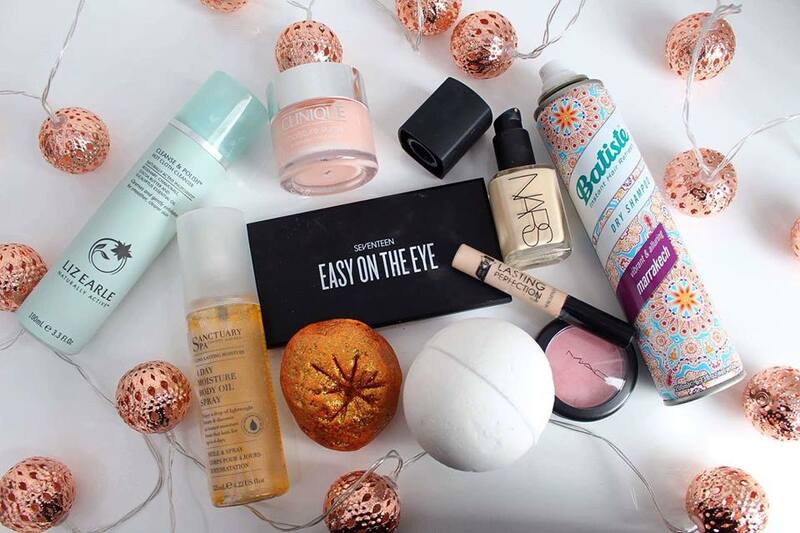 So today I thought I'd share with you all my March Favourites. Liz Earle Cleanse & Polish Cleanser - Liz Earle is probably one of my favourite brands when it comes to skincare, they just tick every box and leave your skin not only smelling amazing but also feeling amazing. As you all know from my boots splurge I repurchased one again at the end of February, and have used it non-stop. It leaves your skin super clean & feeling really cleansed & I just love this stuff, It's affordable & lasts just under a month (per bottle) as I use about two pumps to get a really deep cleanse & make sure all my makeup's off. Honestly try Liz Earle Skincare as it's amazing & SO affordable I really love their moisturisers too. 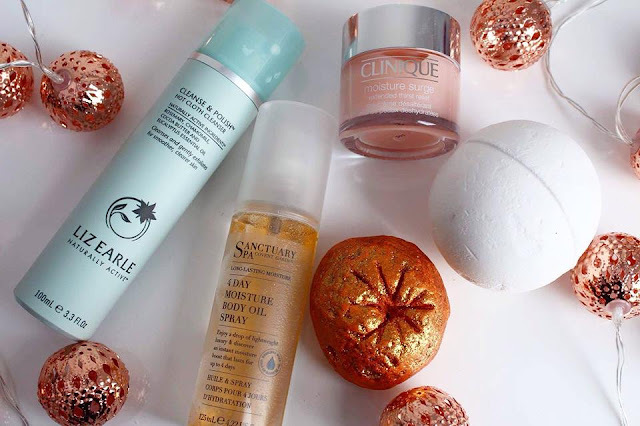 Clinique Moisture Surge Relief Moisturiser - If you read my blog regular you will know I recently had a massive reaction and I talked about it here, well since the reaction I've fallen in love with the best moisturiser EVER! It's left my skin feeling hydrated, plump more awake and just in general looking & feeling much better, It's like it's water based but I don't think it is? It instantly absorbs and just feels soothing and SO amazing on my skin I can't even begin to tell you how much I love this moisturiser, it's sorted my skin right out and I just adore it. So White Bath Bomb & Sparkly Pumpkin Bubble Bar - It's no secret that I blommin' love Lush, and I stocked up on my favourites way back in October/November time. My two christmassy & halloweeny favourites are So White which smells be-au-ti-ful and like apples, & of course the classic Sparkly Pumpkin, I wish the pumpkins were around all year as they are my all time favourite bubble bars. I've been making my way through a lot of these as I bought about 5 of each and have been saving them. Nothing beats a lush bath, and these have definitely been making the cold winter nights that much more brighter. Sanctuary 4 Day Moisturising Body Spray Oil - This body oil, has worked an absolute treat on my skin. I've used this every three days as I personally like to top up on it, on day 3 as I feel it's beginning to wear off. However it instantly absorbs & is my lazy moisturiser. 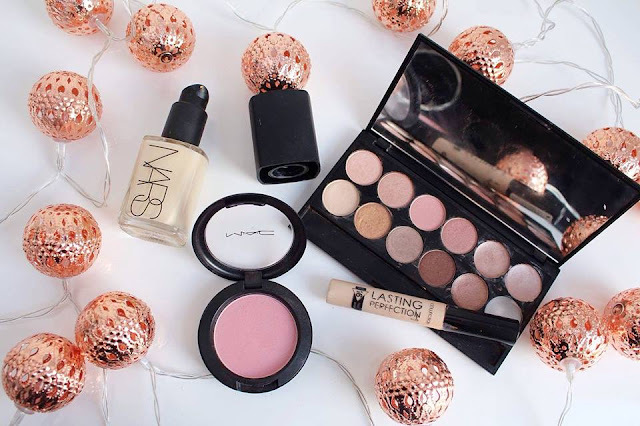 MAC has probably been my most reached brand this month, as I love the Well Dressed Blusher (it was actually my first ever MAC blusher, many moons ago) Well Dressed is a very pretty milky pink and gives a beautiful flush to your cheeks, honestly stunning and a classic blusher shade for me. Eyeswise, I bought the Seventeen Easy On The Eyes Palette in Birthday Suit way back at the start of March now this palette is be-au-ti-ful honestly it's gorgeous. I've used this quite a lot since purchasing it (as you can tell by the state of it, please do excuse it) and love how good the quality is, it's drugstore and I love drugstore makeup as well as highend & this is fantastic, great quality and something super affordable if you're new to makeup then I'd highly recommend taking a purchase of this palette or if you are a massive palette hoarder like myself then definitely add this beauty to your collection as it's just under £10.00 & completely worth it. Concealer wise it's got to be Collection Lasting Perfection in the shade Fair 1, this is the best concealer ever and I get through these so quickly, it gives amazing coverage and really covers my dark under eye circles and hides anything that I feel insecure about, It blends really nicely and doesn't feel heavy or cakey. If you are ever in Boots or Superdrug then seriously purchase one as they are amazing & I literally couldn't live with out mine. 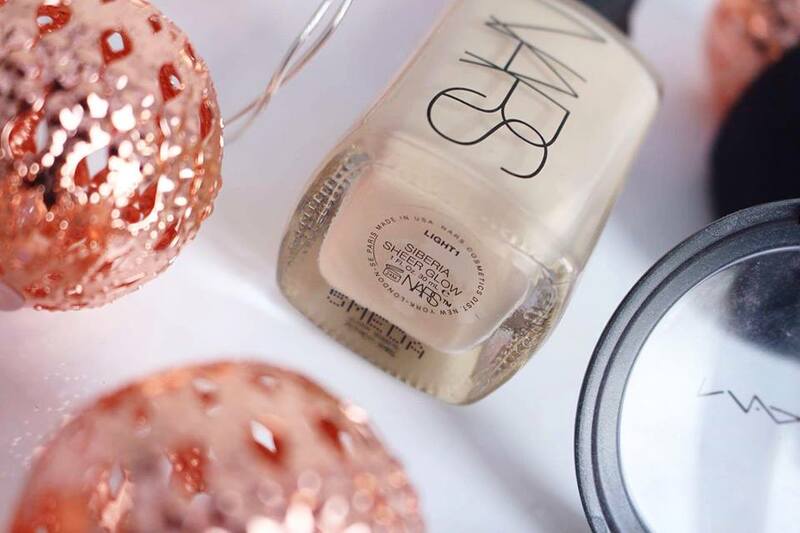 Foundation has got to be the NARS Sheer Glow in the shade Siberia (light 1) I'm a pale peach and this doesn't wash me out and is honestly one of my all time favourite highend foundations coming in at £30+ it's got to be good right? 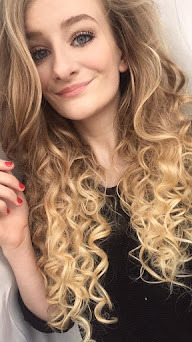 This foundation leaves my skin looking really dewy and just feels SO light I personally wouldn't say it's sheer but hey, it's honestly incredible, I know a lot of people aren't to keen to spend that kind of money on foundation, but those of you who are interested in purchasing this foundation it's honestly amazing & I WILL be doing a proper review of this in the next week or so. 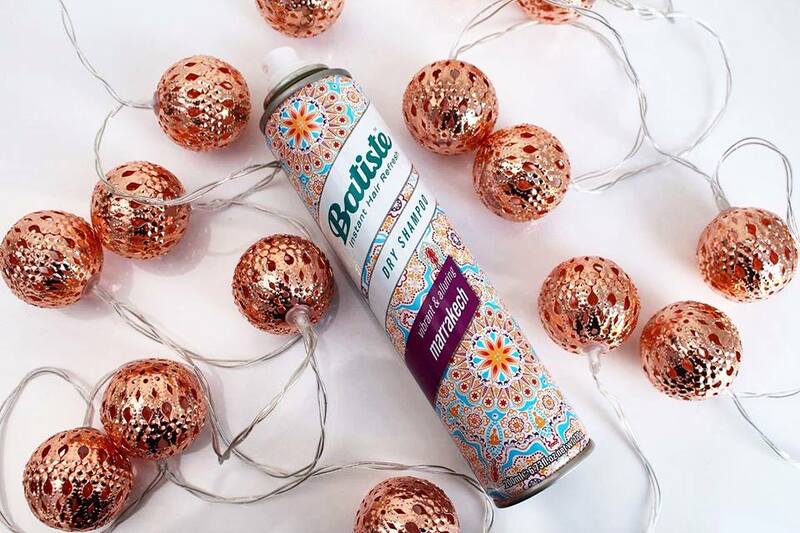 I've also been loving Batistes Vibrant & Alluring Marrakech Dry Shampoo* I was kindly sent this towards the end of February and really used it quite a lot in March, it's a completely different scent compared to all the other Batistes and something that I really love, I also adore the packaging it's beautiful. Makes my hair feel instantly fresh and clean and is just great to chuck in your handbag & go basically. That's everything I've been loving this March, This was quite a rambly post but I hope you've enjoyed it. I love a good favourites they are probably my most favourite types of posts. 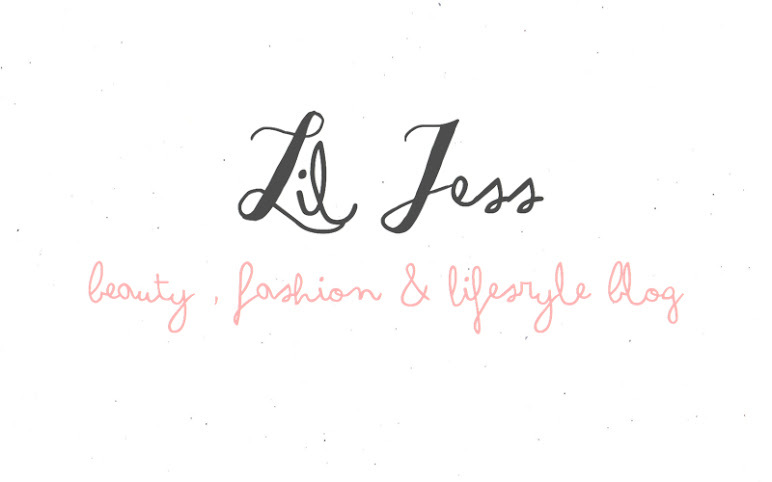 I love finding new things that other people have loved so let me know some products that you've loved in March, in the comments section. It's very similar to The Body Shops Vit E, as to how quick it absorbs. The Seventeen palette looks gorgeous! I've been wanting a palette with some cute pink and purple shades so that might be perfect for me! 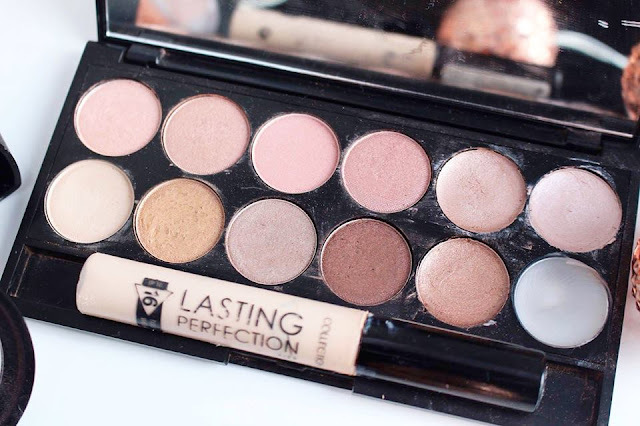 It's seriously beautiful & I love neutral palettes and this is definitely one palette that I adore. Such a lovely collection! I love moisture surge! Such a great product! Thanks Stacey I'm glad you enjoyed my post. Thank you Laila, I'm glad you like my favourites posts. It's honestly amazing and I will be doing a full review of it very soon so stick around. I love the Moisture Surge Range too hahaha.